It's a sad realisation for many business owners when they see that their collectibles business simply isn't working. You may have tried for many months or years to make it a success, but for some reason you're not making the profit you need to stay alive. It can be a very tough business with the ever changing pop culture trends and fashions affecting your custom and funds. If you are at the stage where you need to close your business, there are a number of important loose ends you should tie up before doing so. One of the hardest parts of closing your business can be the logistics of what to do with all of the stock that you have left. Most people will start having closing down sales that will shift a lot of the surplus stock they have left and usually this can be a good way of getting some extra cash to pay off any remaining bills. If you do decide to have a closing down sale, bear in mind you need to get rid of stock quickly, so try not to become too emotionally attached. 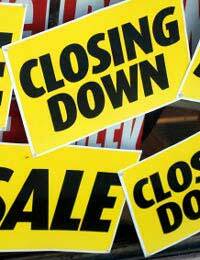 If you're not able to get rid of all your stock in time for your shop closing, don't worry. There are a number of alternative ways of getting rid of stock and making some cash. One of the best is to put most of your items on eBay. You can sell this way from home and can stagger the auctions to suit your own schedule. This way you are still making money and will often get bids on a lot of items you would struggle to get rid of in your actual shop. There are a number of official tasks you'll have to undertake when you close your collectibles business. Most are fairly self-explanatory, but some may slip your mind, especially if you're feeling emotional about closing. It may be hard to say goodbye to a business you've put your heart and soul into, so try to think of it as purely business and organise yourself well. Having a list of items to check off before closing the doors for the final time is worth while as it keeps you focused on the task at hand. Remember, just because your business is closing, it doesn't mean that your love affair with collectibles needs to also come to an end.